As avid fans we’d like to take this opportunity to share with you the magic of Disney Springs, especially if you’ve not had a chance to visit this fantastic place yet. We absolutely Love Disney Springs, we spend almost every night there eating and shopping. Disney springs is an epic place for you to shop, take a break from the theme parks and treat yourself to something cool. If you’re tired of Disney theme parks and want some time off shopping, Disney Springs is an amazing destination which has magical stores, magical restaurants, great selection of clothes, accessories, memorabilia and more. Disney springs is Disney’s official dining, shopping destination, you can find transportation to Disney Springs from all Disney World Resorts. 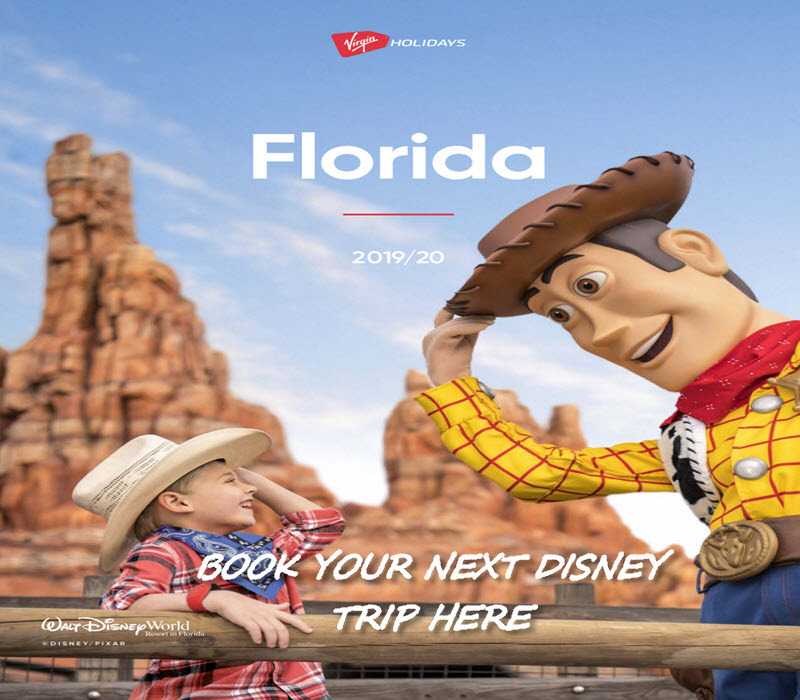 Planning on visiting Disney springs? My advice is to go during the day, not later in the evening as there will be a bigger crowd simply because most people spend the day at the parks, and you won’t have the same fun roaming around, shopping as you will if you go earlier during the day. Opening hours are from 8 AM to 1 AM. Here are some of my favorite places to shop and eat. Disney’s Days of Christmas – A store which is decorated differently depending on the time of the year; different décor during the holiday season which stock Christmas accessories like Santa hats, Disney character ornaments, Christmas stockings, etc. Personalized Mickey glass heads and food items such as cookies, cocoa, coffee, peppermint bark and tons more. Disney Design-A-Tee – If you’re a fan of creating your customizable and personalized Hanes tee shirt, this place has a large, user-friendly computer system which walks you through the design process, you have the ability to choose size, color, design, and art –which includes Disney characters in different categories such as princesses, tinker bell, pirates, Pixar, Disney films, etc. Disney’s Pin Traders – As personal fans of pins, this shop has almost all Disney pins, ever. They have hundreds of pins available, with many unique, limited edition ones. If you’re collecting pins, this is the place to go. Even if you’re not a collector, it’s so fun looking through so many unique and colorful pins. Ghirardelli Soda Fountain & Chocolate Shop – This little store smells AMAZING! If you’re a fan of chocolate, you’ll enjoy this place quite a lot. It has a delicious selection of chocolate, and is a quick resting store to get away from the Florida sun! Goofy’s Candy Company – Satisfy your sweet tooth and look at all the colorful confectioneries; a great place for kids and adults alike the first time you’ll go in there, you’ll feel like you’re in Disney’s version of candy land. Cherry Tree Lane – If you’re looking for shoes, bags, jewelry, watches, Designer bags and more, this is the place to go. TAG – Disney inspired accessories, toiletries, bags, passport wallets, jewelry, neck pillows, etc. 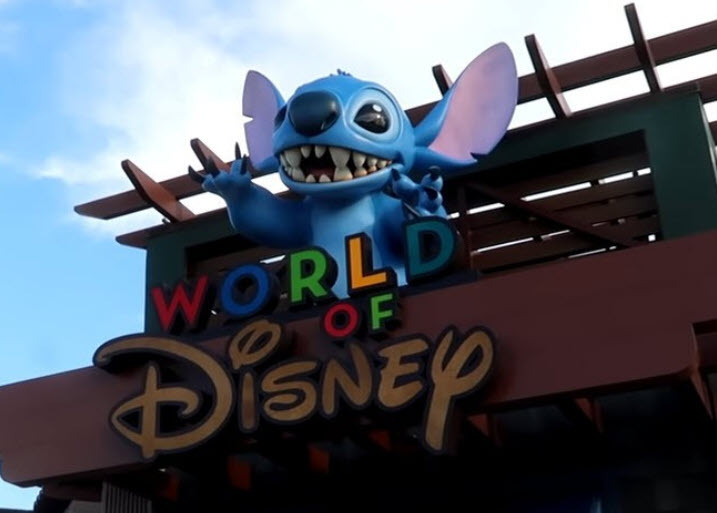 World of Disney – This is the ultimate 50,000-square foot Disney store. It has a massive collection of stuff, jewelry, cookware, books, etc. House of blues- The House of Blues at Disney Springs is modeled after the los Angeles Boulevard and has southern cooking theme. There is free live entertainment nightly at the courtyard and in the resturant from 5pm till 10:30pm and in the resturant from 10.30pm till close. Rainforest Cafe- There are two Rainforest cafe’s located in Disney one is at Diney Springs and the other is Animal Kingdom. It’s amazing here and the kids especially loved the fish tanks. The food on offer is what you would normally expect seafood, steak, sandwiches, salads and pasta. Some of The childrens menu includes mac & cheese, burgers and mini-hot dogs. There is also a nice Rainforest shop to get souvenirs. T-rex cafe-T-Rex Cafe is a Dinosaur themed restaurant with dinososaurs that move a roar also includes a gift shop for all those souvenirs. The Menu is close to the rainforest cafe with seafood, steak, sandwiches, salads and pasta on offer. Previous Disney Rumored To Be Planning a 5th Theme Park In Florida?